in Gilbert Simondon: Individuation, Technics, Social Systems. Dordrecht, Heidelberg, New York, London: Springer, 2014. 251pp. £90.00/€103.99, 978-9401798303. For the English reader, published works on and by Simondon are out of step. Despite several monographs, journal issues, and an edited collection of essays on his work, translations are severely limited. 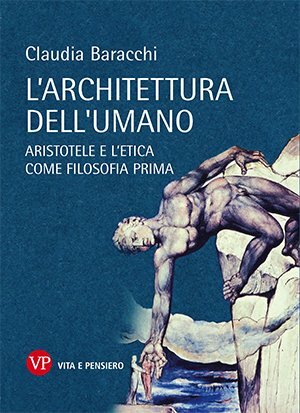 Given its length, it is productive to assess Bardin’s book with regards to the problem of this absence of primary texts for the English speaking world. In this respect, Bardin has made three achievements. The first is the breadth of primary material that Bardin draws on. Not content with limiting himself to what might be considered the central thesis of Simondon’s work – the relationship between structure and individuation – Bardin makes connections across all of Simondon’s published material, simultaneously charting the transformations in terminology and the continuity of problems across his work. Second, Bardin does not isolate these texts. He situates the problems that Simondon attempted to address in the context of the work he inherited. 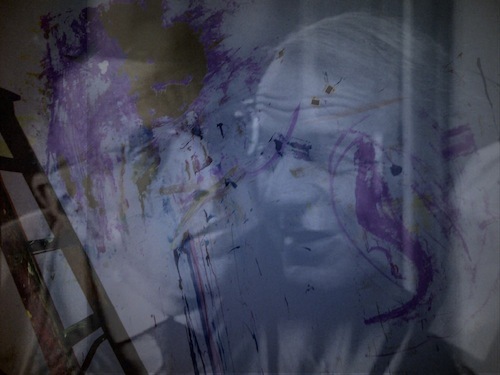 This context is extensive, covering Simondon’s tutors Georges Canguilhem and Maurice Merleau-Ponty, Henri Bergson, the cybernetics of Norbert Wiener, Emile Durkheim and positivism, the anthropologies of Marcel Mauss and Andre Leroi-Gourhan, as well as the physical and biological sciences. Discussion of these influences is woven into three thematic sections: ‘Nature and Knowledge’ (2-66), ‘Organism and Society’ (67-142), and ‘Technicity, Sacredness, and Politics’ (143-241). The last is dedicated to what can be seen to be Bardin’s third contribution. This is an account of Simondon’s politics on their own terms, rather than through the interpretations and re-readings of other authors. This ground has been addressed to some extent by the translation of Muriel Combes’ Gilbert Simondon and the Philosophy of the Trans-Individual (2012) ((Muriel Combes (2014), Gilbert Simondon and the Philosophy of the Trans-Individual, trans. T. LaMarre, Cambridge: The MIT Press. )), but without the in depth work on Simondon’s transformation of his influences. 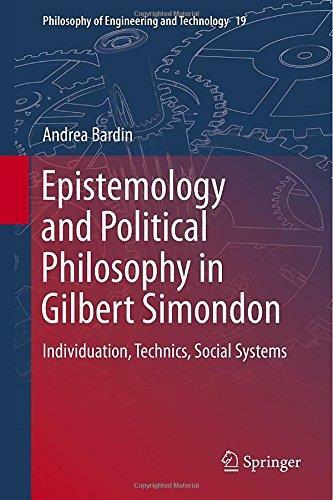 I will discuss the success of his connection of Simondon’s work to its scientific and philosophical precursors, and conclude by assessing Bardin’s claim on what a Simondonian politics would consist of. emerge together, transductively in complex processes of individuation, irreducible to structure, mechanism, or determinism (31). The cybernetic theory of information is transformed to complement this combination of structure and operation (a synonym for individuation), splitting the term information into a distinction between itself, and signal. The latter refers to the metastable operation of a system, whereas information is an aleatory interruption which can induce a phase shift, transforming this metastability and causing a new transductive process to emerge (27-31). As a result all systems are opened up to the outside, given the necessity of a piece of information to allow a relationship between structure and operation (73). The metastability between structure and operation traverses different domains of being, the physical, the vital and the psycho-social. The transition from one to another is a transformation of this logic, rather than the emergence of a new one. Contrastingly, Simondon’s relation to his philosophical precursors, in particular his tutors Canguilhem and Merleau-Ponty receive an exemplary treatment. Simondon’s extension of their thinking into his own is clearly set against the background of his use of scientific work. The critique of structure in the sciences is simultaneously a critique of hylomorphism in philosophy; the assumption that substance and form can be separated. Simondon assumes the anteriority of the pre-individual, which is not a substance to be formed, but a set of potentials that do not pre-exist individuation temporally, but logically (37). It is never exhausted by any process, accompanying it as latent potential for further transformation by new information. Bardin shows how the pre-individual furthers the work of Merleau-Ponty and Canguilhem. Merleau-Ponty’s lecture course on nature is claimed to influence Simondon here (40-41) ((Maurice Merleau-Ponty (2000), Nature: Course Notes from the Collège de France, ed. , trans. R. Vallier, Evanston: Northwestern University Press.)). He radicalises the vision of an unstable, primordial reality with the cybernetic concept of information to restrict the phenomenological assumption of sense to the psychic and collective level of individuation (41-3). The ramifications of such a move are clearly shown by Bardin to differentiate Simondon from phenomenology, without forgetting Simondon’s own debt to phenomenology (43-7). 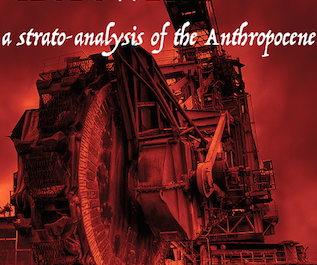 play a role in determining these processes, Bardin demonstrates how Simondon’s assumption of the singularity of process moves him beyond the Structuralist paradigm that was establishing its hegemony in France at the time (158-9). The first aspect of Simondon’s political thought derives directly from this re-thinking of the epistemological problem of structure and individuation. It can be analysed using an onto-genetic method, investigating the singular processes in which a pre-individual set of potentials is transformed through the tendency towards society, and the way in which these processes are closed in upon themselves by community. Bardin provides the insight that this distinction cannot be mapped onto the ‘political difference’ put forward in recent thought, between ‘politics’ as governance and ‘the political’ as an ontological field of contestation that is both the condition of, and what disrupts politics ((Oliver Marchart’s Post-Foundational Political Thought (Edinburgh University Press, 2007) is a key text for analysing many thinkers through this heuristic.)). Simondon’s political project is closer to mapping the intersections between these two realms, between communal regulation and societal invention, in accordance with his theory of individuation at physical and biological levels (220-21). There is no political force outside of structure that can be appealed to in and of itself; the political is a mobile concept that must be traced through these processes of individuation.